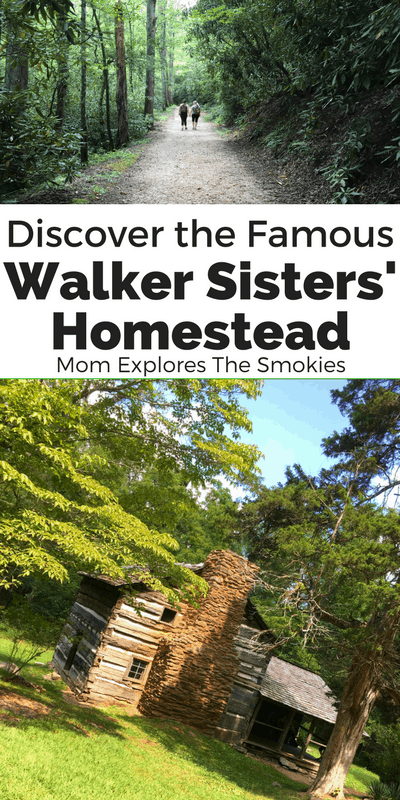 The Little Brier Gap Trail and Walker Sisters’ Cabin is an easy but scenic hike in the Great Smoky Mountains National Park. The trail is located in the once thriving mountain community of Greenbrier and is home to several historical buildings. In addition to our wonderful review, you can also check out a secondary review on Hiking in the Smokys, which is where we got the difficulty rating and historical facts. Directions: From Metcalf Bottoms Picnic Area, drive across the one lane wooden bridge onto Wear Cove Gap Road. In approximately .5 miles you will see a gravel road on the right with a sign for the Little Greenbrier Schoolhouse. Follow the gravel road up to the school house parking area and the Little Brier Gap trailhead. Of course, each family has its own unique needs. You know your family best, and are ultimately responsible for discerning the safety and appropriateness these hikes. Please read our full disclaimer here. This wide gravel hiking trail cycles between a gradual incline and level surface. Because it used to be a gravel road, the path is nice and wide, which makes it a great choice for less experienced hikers. However, there is a step drop off to one side, so you do want to watch your kids closely. Although popular, this trail is not as busy as many others, which makes for a relaxing and enjoyable hike. There is a small parking lot at the trail head and a cemetery. You can view a variety of wildflowers here in spring and summer, but the biggest draw is the primitive schoolhouse and homestead. From the 1830s through the 1930s Greenbrier was a primitive but thriving mountain community. The Little Greenbrier Schoolhouse was built in 1882 and served the community as a school and church until 1935. 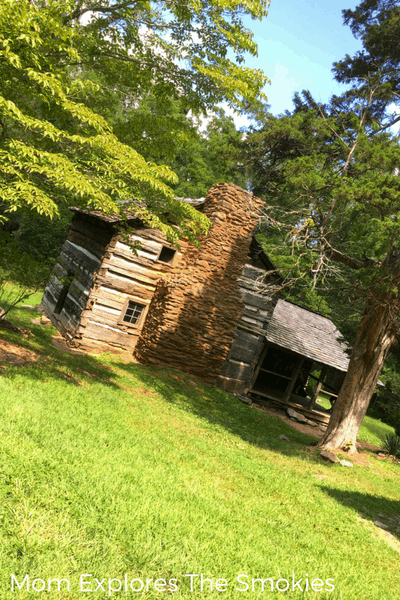 Throughout the 1930s Greenbrier families began selling their land to the government for the creation of the Great Smoky Mountains National Park. During this time, the government attempted to buy the 123 acres of Walker land for inclusion in park; however, the Walker sisters refused to sell until 1940. Even then, the sale included a condition that the sisters be allowed to remain on the property for the remainder of their lives. In 1964, the last remaining sister passed and the land was turned over to the park. Today the Little Green Brier Schoolhouse and all of the buildings remaining at the Walker homestead, the cabin, the corn crib, and the springhouse, are now listed with the National Register of Historic Places. As always, please keep in mind that you know your limitations and the limitations of your children and family best. Although this trail was appropriate for my family, it may not be appropriate for you or your family. Please use your best judgement in deciding whether or not to hike this trail. Neither Mom Explores The Smokies nor the blog owner are responsible for any damage, mishaps or injuries (physical, mental or otherwise) that may occur while you and/or your family/children are on this trail or anywhere in the Smoky Mountains. When in doubt, opt out.